I first became aquatinted with this flower on a trellis in upcountry Maui. You can tell I fell in love with it because it has been my banner for the past year. Imagine my surprise when I found it in a nursery here in the foothills of the Rocky Mountains. 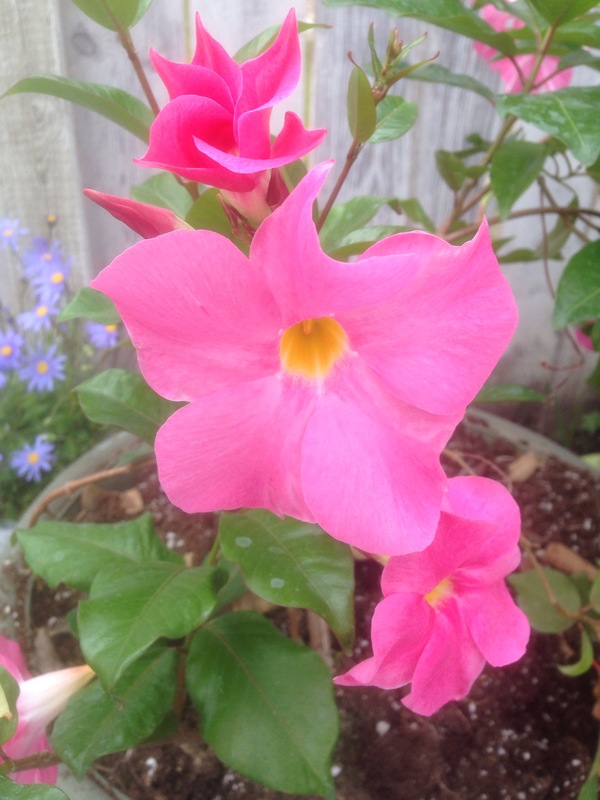 Of course it came home with me – Sun Parasol Mandevilla – in Pretty Pink. It seems fitting on the blog’s one year anniversary to post a new version the flower that started it all. Cheers!